The officially licensed Knight's Armament Company QDC barrel extension is made out of machined aluminum with a steel flash hider for the utmost durability. The matte finish prevents reflection from sunlight as well as protecting the mock suppressor from rust and heavy scratches. The QDC suppressor is unique because of the quick detach mechanism that is true to the real steel version's form factor and function. The suppressor locks in to place with steel ball bearings that sit against indentations on the flash hider and secured by a spring tension collar. The thread of the flash hider has been modified to fit ONLY on the airsoft version with 14mm threads. 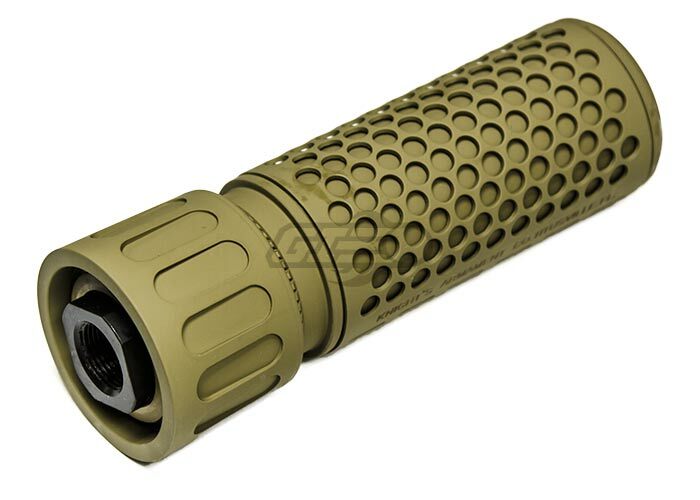 With a 1:1 scale to the real steel suppressor and real trademarks from Knights Armament, the Knights Armament Airsoft replica adds amazing realism to any airsoft replica. 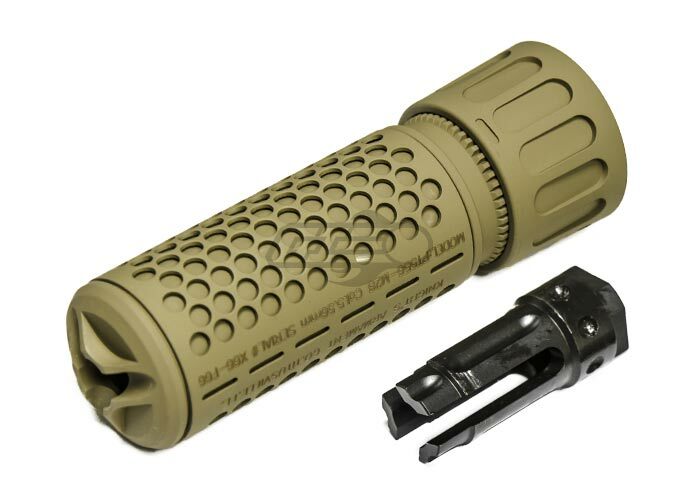 This mock suppressor is the CQB short version that is Tan, and the flash hider has 14mm Clockwise threads.